My passion has always been cooking and baking. It is art, it is therapy and it is fun and yum!!!! I have been a teacher for the past 25 years. I always enjoyed bringing food into the classroom and the kids always enjoyed it as well. Children love to play with food. Why not healthy good food? Along my journey in life I developed Irritable Bowel Syndrome that was debilitating. I was not able to function. I could not teach I became unemployed and could not run my home. I visited doctor after doctor, took many tests and was given many different medications, but none helped much. Somehow a friend told me about this school that teaches a Holistic approach to chronic diseases. I applied and was accepted to the Canadian School of Holistic Nutrition. I learned another way to look at disease. I started learning to heal myself and I am glad to say I am on the right path. I became a Registered Holistic Nutritionist, and have been helping people ever since. See my blog for a timeline of my education and great information. 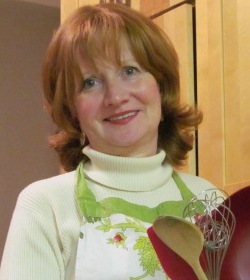 I now have a private practice in Thornhill, Ontario where I counsel private patients and offer culinary classes. 1 Pings/Trackbacks for "About Me"
Hey there! I just found your internet site: %BLOGTITLE% when I was searching stumbleupon.com. It looks as though someone enjoyed your site so much they decided to bookmark it. I’ll definitely be coming here more often.